Enclosed are some pictures, of the car guitars my father built (Wayne Charvel) in1983 for ZZ-Top. My father was building guitars for Billy Gibbons and Dusty Hill in the mid and late 1970's. 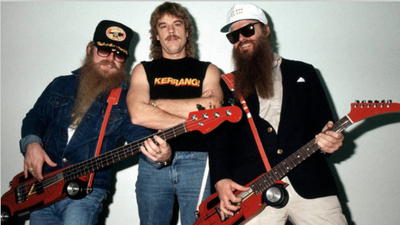 In 1983 Billy Gibbons called up and wanted a spectacular guitar made for the up and coming Eliminator tour. 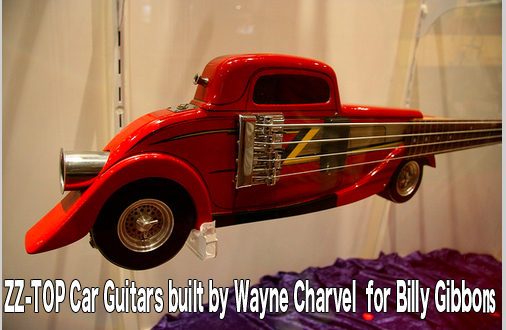 My father being a hot rod buff, came up with the idea to make a guitar that looked like Billy's 1933 Ford coupe.